Ancient Egypt was full of mysteries and secrets and the interest about it will never fade out. That is one of the reasons why it has served as an inspiration for many movies, books and games. 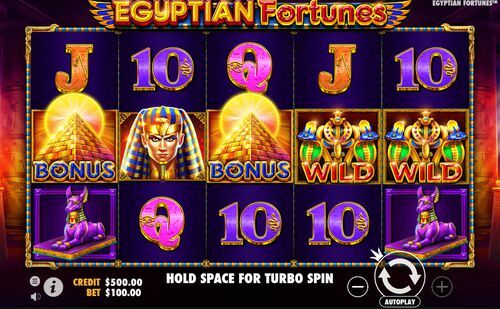 Egyptian Fortunes slots by Pragmatic Play is one of the examples where the beauty of the ancient pyramids and the might of the Pharaohs have been inserted into an exciting game full of bonus features and amazing graphics. Keep reading to find out more! 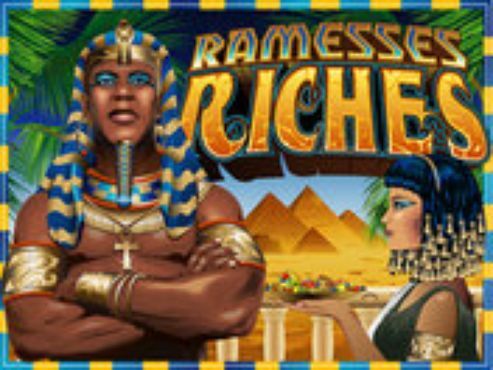 This five-reel, 20-payline slot has superb HD graphics, with a treasure chamber of the Pharaoh’s pyramid overflowing with gold in the background and a traditional Egyptian soundtrack. On the reels of Egyptian Fortunes slots you will see 10 regular pay symbols, starting with the card royals 10 through to A as low values. They are followed by four Egyptian gods and goddesses – Anubis, Horus, Bastet, and Khnum – as well as the Pharaoh himself. There’s also a Wild represented by a gold structure with two cobra heads, substituting for all symbols bar the bonus which is in the shape of a pyramid with a huge sun behind it. Before you start your Egyptian adventure in search for the riches hidden in one of the most celebrated man-made structures in history, you need to set your bets. You have two variables – coins per line and coin value which, together give the total bet. You can choose between 1 and 10 coins per line, whereas the coin value ranges from 0.01 to 0.50. They can be individually selected, or you can set the total bet at once by clicking the “-/+” buttons in the bottom right corner. So, if you’re playing with 10 coins per line and a coin value of 0.50, your total bet would be 100.00. The 20 paylines are fixed, so their number cannot be changed, which means that all that’s left for you to do is press the big circular arrows button and start spinning. You can also choose the autoplay option if you wish to set a number of times for the reels to spin automatically and without interruption. There are a maximum of 100 auto spins available and you can also set win/loss limits and other preferences. 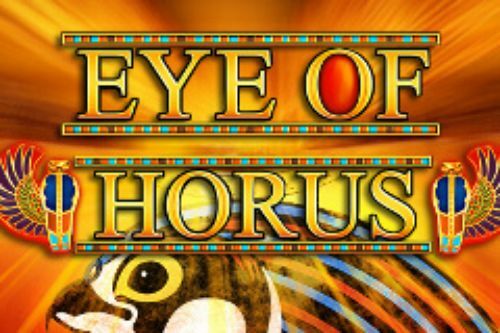 Aside from the payouts, the symbols in Egyptian Fortunes slots also award Energy Spins, but we’ll explain those a bit further down this review. As for the payouts, when playing with the maximum bet of 100.00, landing five of the 10 playing cards icon is worth 250.00. Next is the J symbol, paying 300.00 for five, then the Q with a payout of 500.00, the K with 750.00 and the A symbol which is worth 1,000.00 for five on a payline. The high-paying symbols list starts with Anubis, for which you will receive 1,500.00 if you land five matching symbols on a payline. Then there’s Horus, awarding 2,000.00 for five-of-a-kind-combination. Landing five of the Bastet symbols will award you 2,500.00, whereas Khnum is worth 4,000.00 for five. 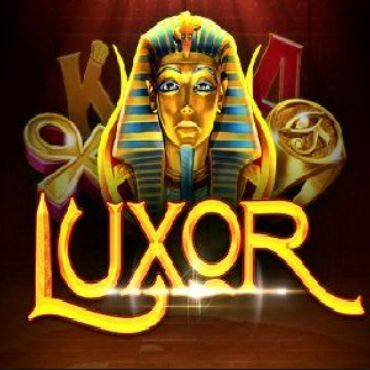 The Pharaoh is the highest-paying of the regular symbols in the game, with a payout of 5,000.00 for a combination of five on a payline. Lastly, if you are lucky enough to land five Wild symbols on a payline, you will score a total of 25,000.00. As we already mentioned, certain winning combinations award Energy Spins in addition to the cash payout. These Energy Spins are not always tied to the highest number of matching symbols on a payline. For example, the Energy Spins tied to the K and A symbols are awarded for a combination of four, whereas the ones that come with the higher values are received for a three-of-a-kind combination. So, a five-of-a-kind combo made up of 10, J and Q symbols awards five Energy Spins. A four-of-a-kind win with the A, K, Anubis or Horus statues will get you four energy spins. A three-of-a-kind winner made up of Bastet, Khnum or Pharaoh awards three Energy Spins. Also, you can get more Energy Spins during this feature, or trigger the Free Spins bonus. The Free Spins feature is triggered by landing the bonus symbol on reels 1, 3 and 5 on the same spin, for which you’ll receive six free spins. Before the feature begins, a scroll will spin to reveal three standard symbols which will be the only symbols in play throughout the free spins alongside the Wild which can land on reels 2 and 4 only. 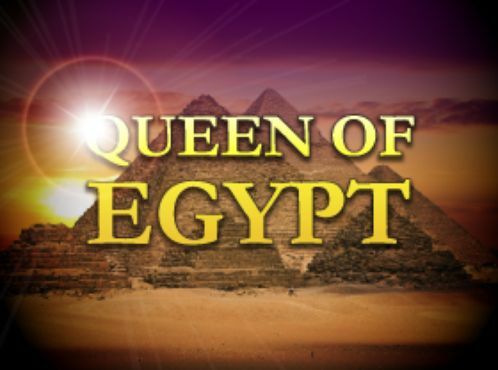 The online casinos are brimming with Egyptian-themed slots. 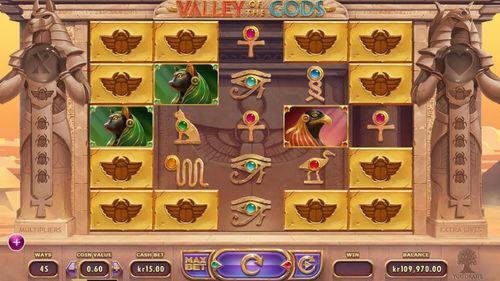 Currently, there are about 500 such games available, with almost every (of not every) software provider having an Egyptian-themed slot in its portfolio. However, not all are good. In our opinion, Egyptian Fortunes slots is one of the better ones. The range of features isn’t massive, but they are entertaining and the addition of Energy Spins is innovative and brings something fresh to the table. 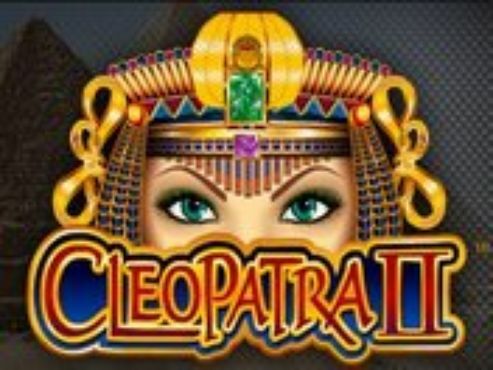 If you’re a fan of Egyptian-themed slots, then Egyptian Fortunes should definitely be on your ‘to play’ list!